In the United States, everyone knows the words to a few songs that are taught to children at an early age. Perhaps you learned “Mary Had A Little Lamb” at home with your parents, or maybe you learned “Twinkle Twinkle Little Star” during pre-school as part of a classroom activity. The point is, the words to these songs are deeply ingrained in your memory as part of your early education, and strengthened by repetition over time. 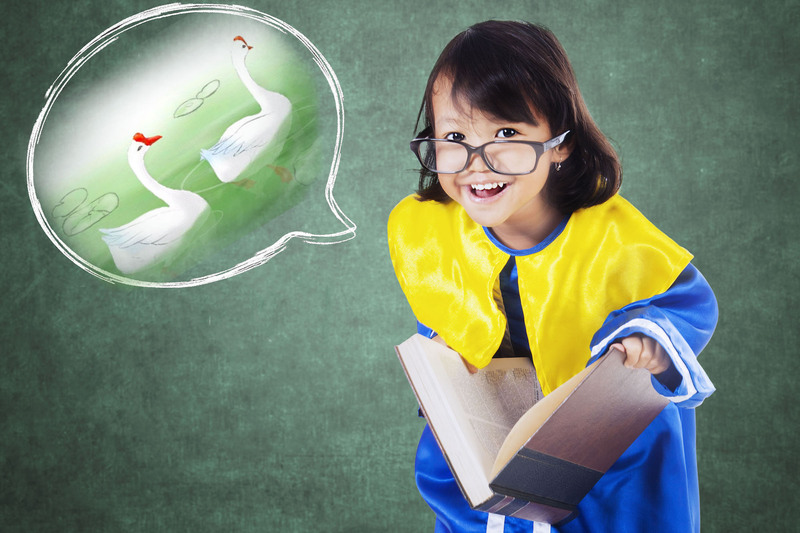 Similarly in China, there are few famous poems that every child is expected to memorize. Parents will usually beckon over their child and ask them to recite the poems, and teachers at school will test children on these poems as part of class. Unlike Chinese tongue twisters, which are just for fun, these poems have great cultural significance, passed down from generation to generation. The funny thing about these Chinese poems is that they may not make sense to the average Chinese learner. These poems are often writing in an archaic style of Chinese writing. It's like how Shakespeare would sound to English speakers. However, these poems will help students learn how Chinese characters interact with one another, and are also a great way to practice many different tone combinations. If you are learning Chinese, these poems are a fantastic lens into Chinese culture through the ages, and a great way to practice memorization and speech in Mandarin Chinese. In this post, we feature five of the most popular poems that everyone in Chinese knows. 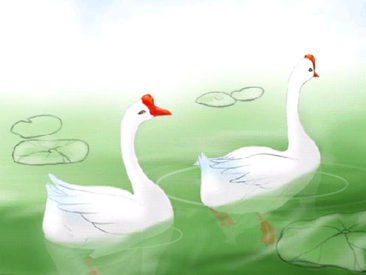 “An Ode to the Goose” is a short poem from the Tang Dynasty, and is often the first poem that Chinese children are taught due to its simplicity. It was written during the Tang Dynasty by child prodigy poet 骆宾王 (Luò bīn wáng), who penned this poem when he was only seven years old. 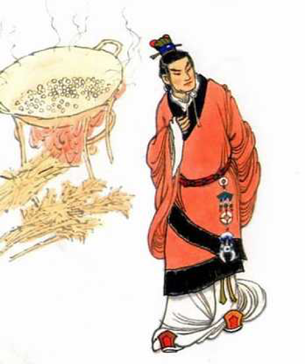 骆宾王 would go on to become one of the most famous poets of the Tang Dynasty, and later served as a secretary of the country government of Chang’an. 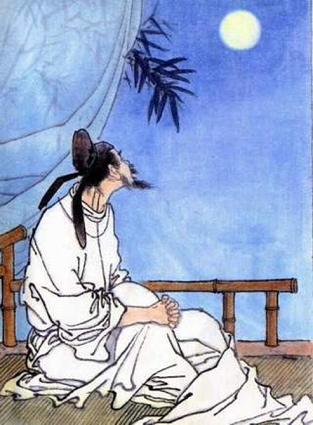 “Thoughts in the Silent Night” was written by famous Tang Dynasty poet 李白 (Lǐbái). The poem expresses the poet’s loneliness, nostalgia, and homesickness as he gazes at the bright moon. 李白 would go on to create close to 1,000 poems in his lifetime, capturing the political landscape and the natural beauty of China in elegant prose. Could it actually be the frost on the ground? And look down to reminisce about my hometown. 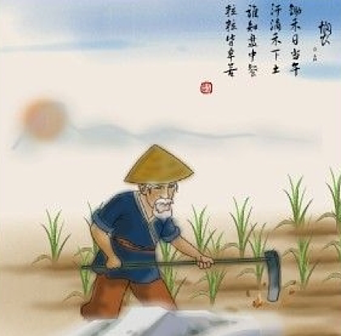 “Toiling Farmers” was written by Tang Dynasty poet 李绅 (Lǐ shēn) to reflect the grueling working life of a farmer. The first two lines describe how the farmer toils with the hot noon sun bearing down on him, and he is essentially watering the crops with his sweat. The last two lines relates the farmer’s hard work with the food in people’s bowl, and that every grain of rice comes at the expense of hard labor. 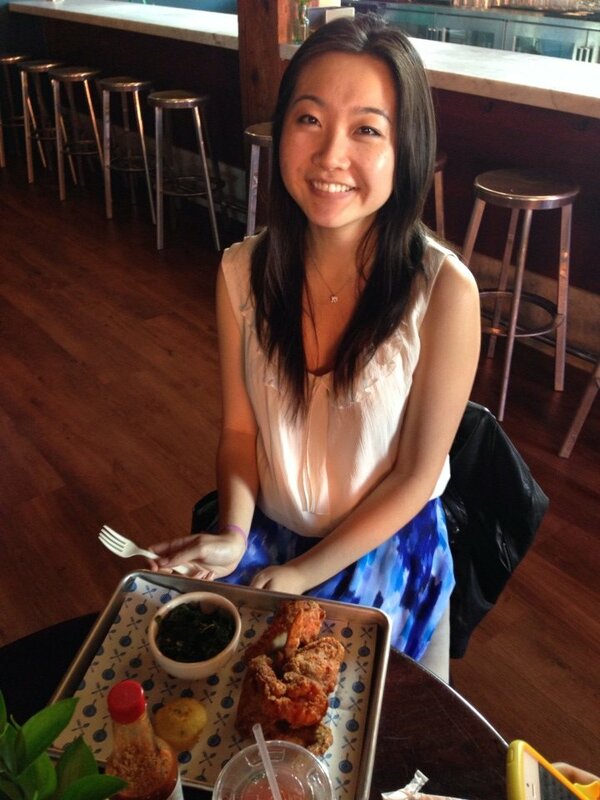 Interestingly, in present day, this poem is often used at the dinner table by Chinese parents in order to teach their children about not wasting food. Written by Tang Dynasty Poet 孟浩然 (Mèng hào rán), “Spring Morning” is a poem that describes the poet’s observations and thoughts upon waking up on a pleasant spring morning. Flowers must have fallen down. “Seven Steps Verse” was created during the Three Kingdoms period (220 – 280 AD) by 曹植 (Cáozhí), making this poem much older than the previous four. Legend has it, 曹植’s cruel older brother was emperor at the time, and was jealous of his younger brother’s intelligence and talent. The emperor forced the younger brother to create a poem within seven steps, and if he could not, he would be given the death penalty. The poor younger brother knew of the older brother’s intentions, and created this poem to appeal to the older brother’s sense of guilt. The poem, referring to being born of the same root, reawakened the older brother’s humanity, leading him to set the younger brother free. You might have noticed that of the five poems featured here, four were written in the Tang Dynasty(唐朝 - Táng cháo). Indeed, the Tang Dynasty (618-907 AD) is largely considered the golden age of Chinese poetry, a period of relative stability and prosperity that gave us many of the most memorable and talent poets in Chinese history. The poems of the Tang Dynasty feature a wide variety of themes, starting with colorful descriptions of nature and scenic landscapes, but shifting to more social commentary, nostalgia, and political unrest towards the late Tang period. In addition to those featured in this post, a few other Tang Dynasty notables are 杜甫 (Dù fǔ), 王维 (Wáng wéi), and 岑参 (Cén cān). 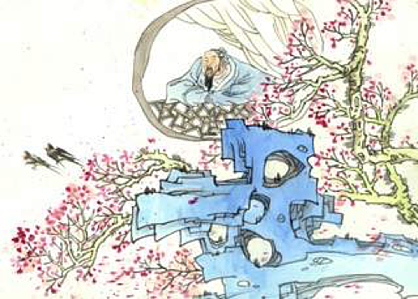 Have you heard of any of these famous Chinese poems before? Which poem, or poet is your favorite? Let us know in the comments below! Want You Or Your Kid To Learn Chinese? Join TutorMing!